Teams are almost home! 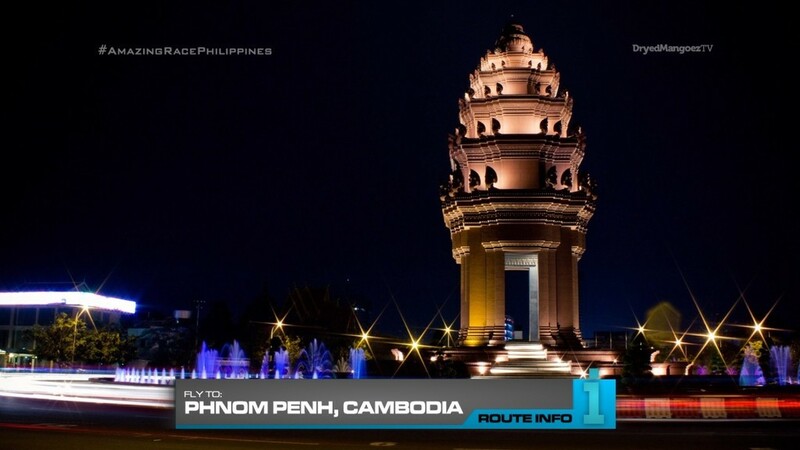 The 11th Leg begins as teams learn they’re flying to Phnom Penh, Cambodia! Teams will be flying Bangkok Airways via Bangkok, arriving in Phnom Penh at 10:45pm. 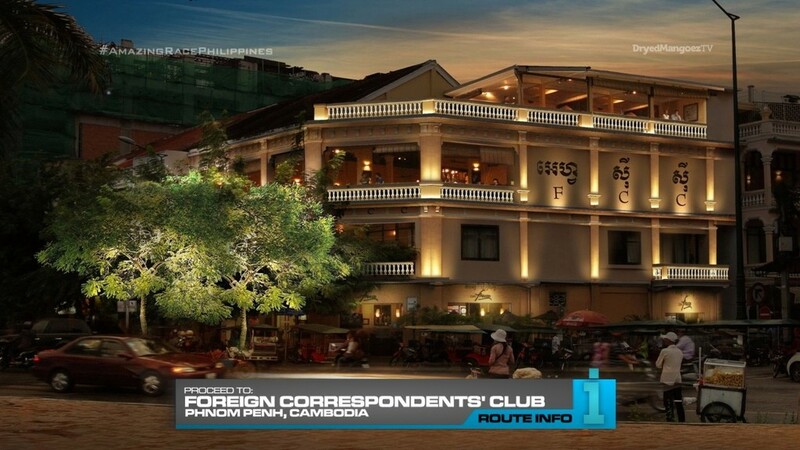 Once in Phnom Penh, teams must make their way to the Foreign Correspondents’ Club. 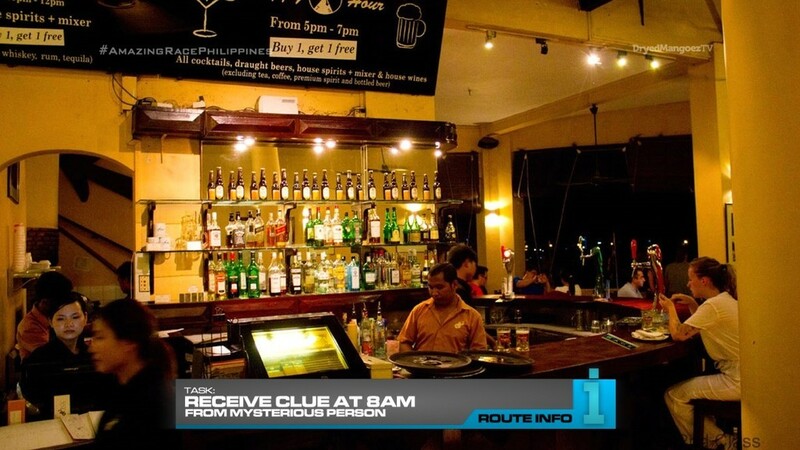 The bartender will tell them that a man wants to meet with them at 8am. The mysterious man will give them their next clue. 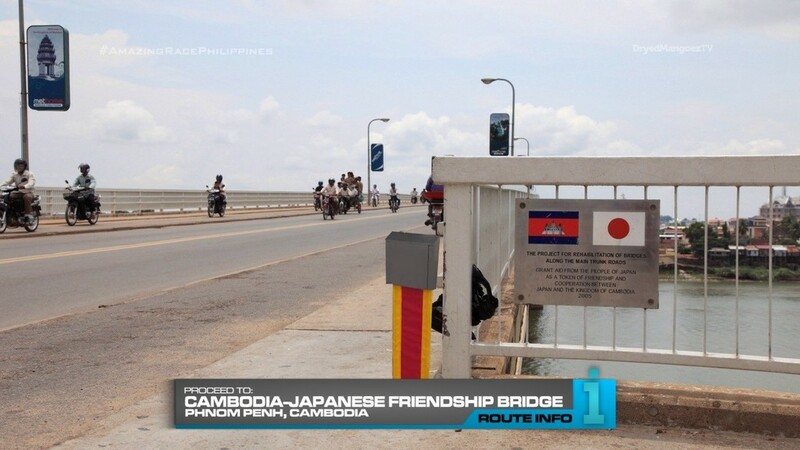 That clue points teams to the Cambodia-Japanese Friendship Bridge. 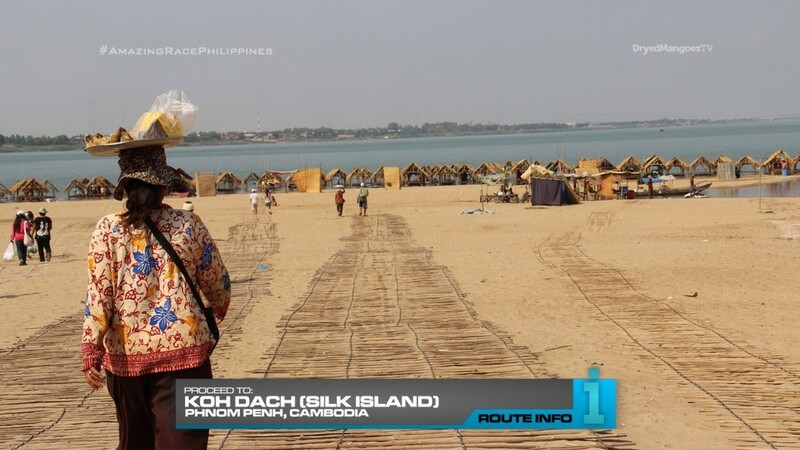 Teams will then need to make their way to Koh Dach, known as Silk Island, where they will find marked bicycles which need to be repaired in order to receive their next clue. 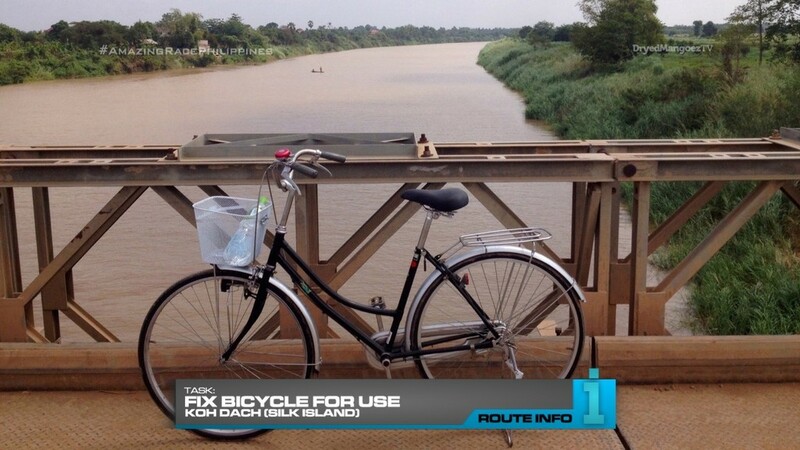 After repairing them, teams will ride the bikes around the island to find marked silk homes. And here, teams will find the Road Block: Who’s feeling silky smooth. This is the 12th Road Block of the Race. Each team member can only perform up to six Road Block up to this point. For this Road Block, teams must weave a section of traditional silk. 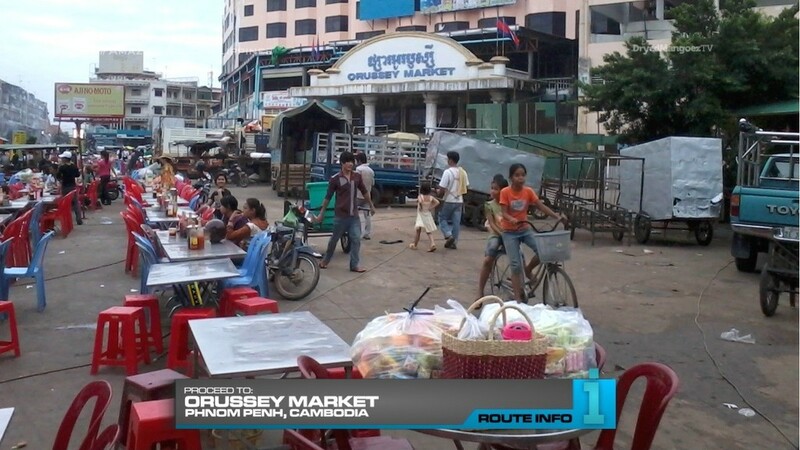 After the Road Block, teams must head to Orussey Market. Here, they must search the tables outside for the next clue. And that clue reveals the Detour: Bag or Box. 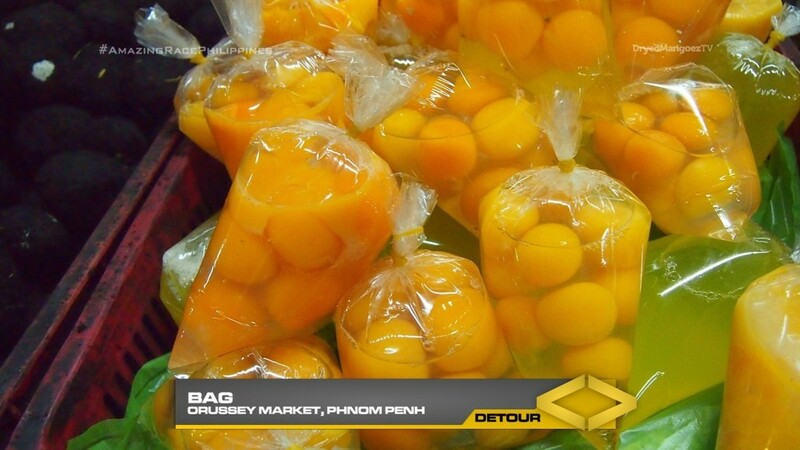 In Bag, teams must crack enough eggs to fill 25 bags for sale, according to an example. If they run of provided eggs, they must purchase eggs with their own money. 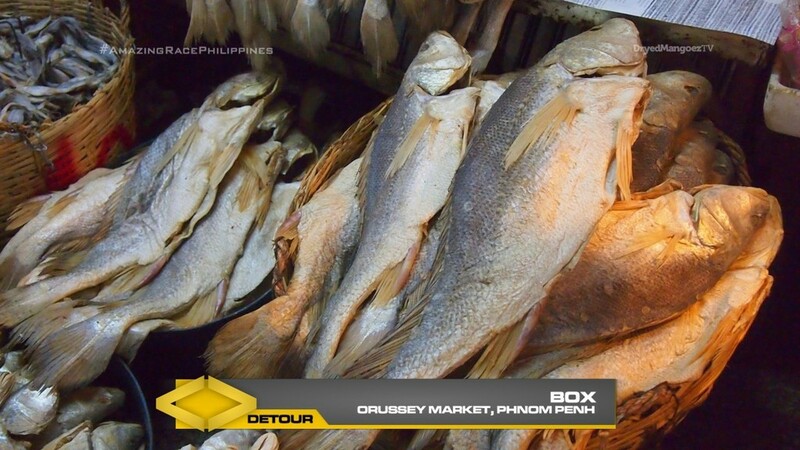 In Box, teams must sort through boxes of different dried and smoked fish. Once all fish are correctly sorted, they will receive their next clue. 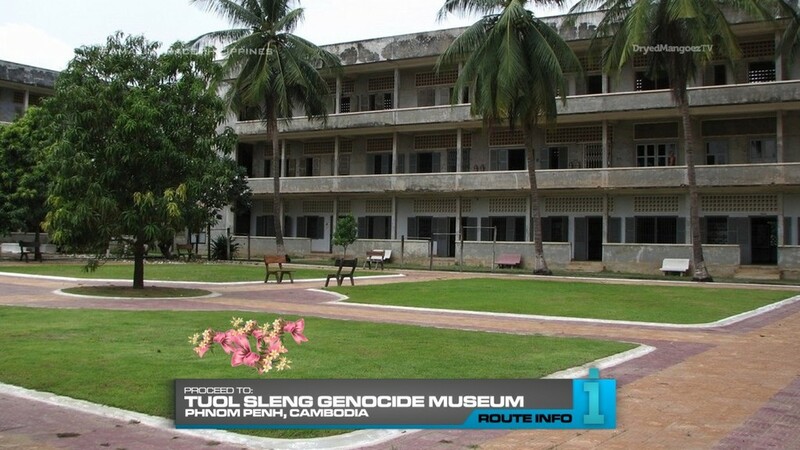 That clue tells teams to make their way on foot to the Tuol Sleng Genocide Museum. 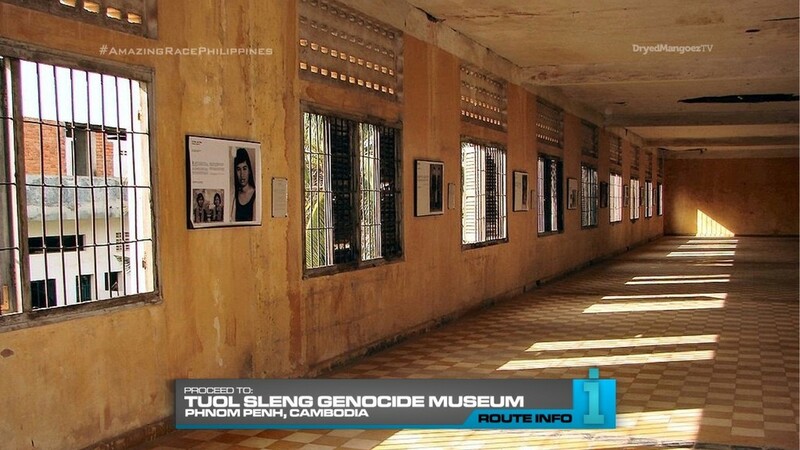 Here, teams will leave a small bouquet of flowers to honor those who were killed during the Khmer Rouge. After their moment of prayer, they will be given the next clue. 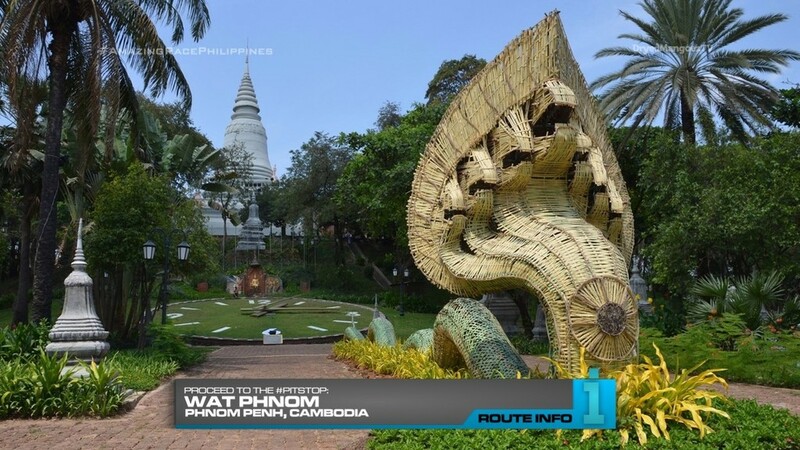 That clue points teams to the Mat at Wat Phnom. And at this Mat… ALL FOUR TEAMS will learn that this is a SUPERLEG! This Leg is not over! And they have actually already been racing on the Final Leg of this Race! 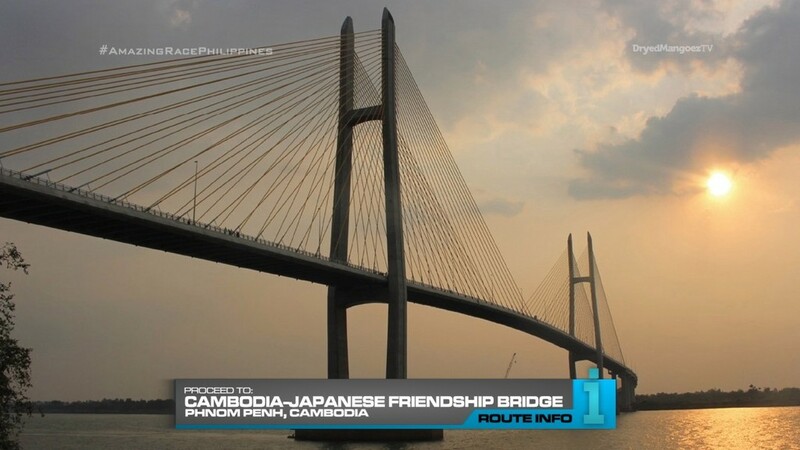 For the first time ever on The Amazing Race, FOUR teams will be Racing to the Finish Line!!!!!!!!! SHOCKING! All the tasks are pretty simple. The Foreign Correspondents Club is needed since the teams arrive at night. No other possible flights. At least, none that wouldn’t be too complicated. Silk weaving is such an early Leg kind of Road Block. The Detour too. So the lack of exciting tasks prompted the SuperLeg instead.